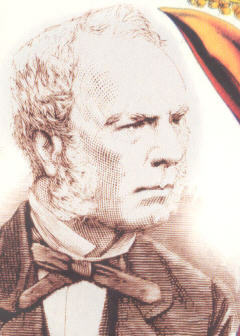 Robert Fortune born in Edrom was one of those many ‘lads o’ pairts' for whom Scotland was renowned, who from very humble beginnings went on to a life of considerable achievement. "Blackaddertoun 16th. 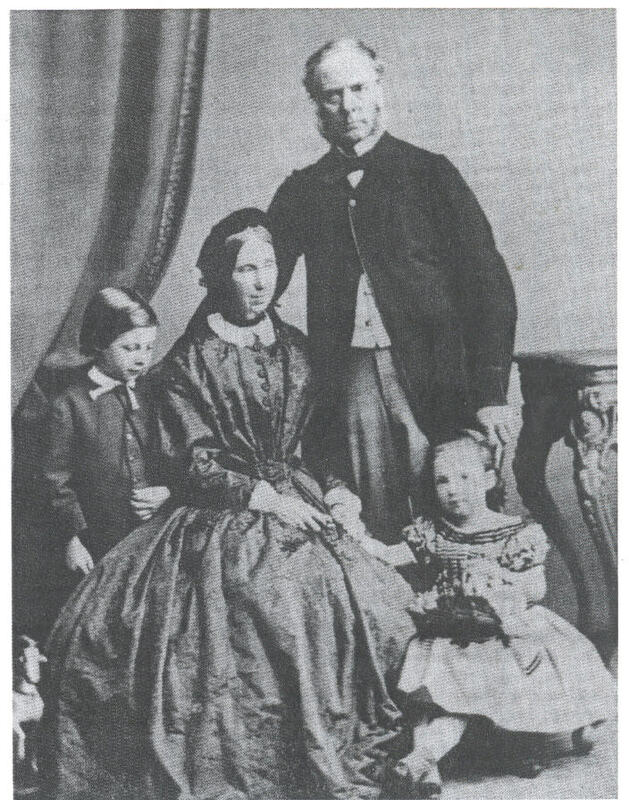 September 1812 Thomas Fortune, hedger and Agnes Ridpath, his wife had a son born named Robert and baptized 10th. December before the Relief Congregation in Dunse." His exact place of birth is something of a mystery but was certainly on the Blackadder Estate in a cottage probably now demolished. The gravestone of his parents can still be seen in Edrom Churchyard. After leaving school in Edrom Robert started work as an apprentice gardener on the nearby estate of Kelloe. The proprietor Mr. George Kelloe was one of a number of estate owners at the time who were encouraging an interest in all matters botanical, including particularly plant breeding and the introduction of new species. His time there obviously engendered his interest in botany, moving on from Kelloe to Moredun and in 1839 to the Botanic Garden, Edinburgh under the renowned botanist William McNab. Edinburgh 1st. October 1838 Robert Fortune gardener residing at 52 Broughton Street, St. Mary's Parish and Jane Penny residing at Number 43 Albany Street, same Parish daughter of Henry Penny, farm servant at Swinton have been three times proclaimed in order to marriage in the Parish Church of St. Mary's and no objections have been offered. On the last day of the year his eldest son John Lindley was born at Edrom. This child was obviously named after his mentor John Lindley who had been Praefectus Horti of the Chelsea Physic Garden since 1836. "John Lindley, son of Robert Fortune, gardener London and Jane Penny his wife born at Kelloe 31st. December 1842 and baptized 9th. January 1843 by the Rev. Daniel Ker, minister of the Relief Congregation". The Fortunes were obviously adherents of the Relief Church in Duns which went on to become the South Church, currently a carpet retail outlet. They were to have another five children but none was born locally. At the Royal Botanic Garden, Fortune obviously so impressed his new employers that within six months he was asked to become a member of a plant collecting expedition to China. In 1842 William McNab recommended Robert for the post of Superintendent of the Hothouse Department of the Horticultural Society in Chiswick, London. The following year 1843 he obtained the position of the Society’s Collector for China and set out on an expedition to that country. 1842 had seen the signing of the Treaty on Nanking bringing to an end the Opium War and by which Hong Kong became a British colony. For the first time it also opened for expeditions Northern China, an area of the country until then very largely unexplored. His first trip to China covered a period of three year including a short visit to the Philippines. 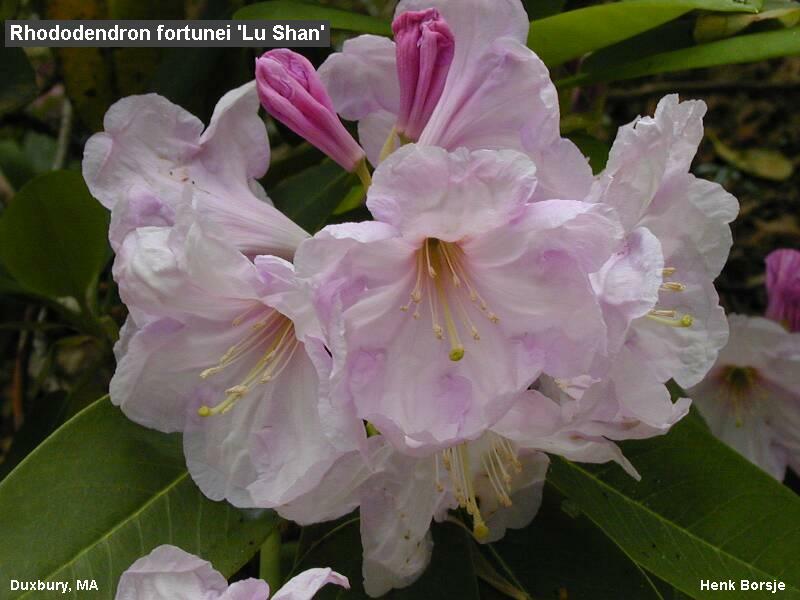 His particular remit was “ to collect seed and plants of an ornamental or useful kind not already cultivated in Great Britain and to obtain information upon Chinese gardening and agriculture together with the nature of the climate and its apparent influence of vegetation”. When he set out Fortune had no knowledge of Chinese and during the course of the tour was several times attacked by bands of brigands and a junk on which he was travelling was attacked by pirates. Additionally he had to battle against severe attacks of fever and tropical storms and typhoons. On one occasion he managed almost personally to see off an attack by two pirate junks, by lying hidden on deck until the pirate junks were at very close quarters, jumping up, firing at the helmsmen and warding them off. Somehow he managed to acquire a passing knowledge of Chinese and took to wearing Chinese attire and by shaving off his hair and growing a pony tail he was able to enter the forbidden City of Souchow. Known to the Chinese by the name Sing Wah he was in this way able to travel quite extensively, a hazardous undertaking as at that time no foreigner was permitted to travel more than thirty mile from any port. During this period he made several shipments back to Britain including a number of new plants and also the techniques and art of bonsai. He always made a point of dividing his stock and sending them back in different ships to avoid loss at sea. These plants were sent back in portable greenhouses newly developed by Dr. Nathaniel Bagshaw Ward in 1839. 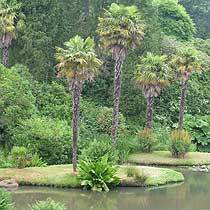 On his return from China in 1846 he was recommended to the position of curator of the Chelsea Physic Garden. His salary was £100, a house for himself and family plus coals and the right to cultivate vegetables along the river bank. He reported when he took over the garden that he “ found it overrun with weeds, the botanical arrangements in confusion, the exotic plants in the houses in very bad health and generally in a most unfit state for the purpose for which it was designed”. This state of affairs Fortune applied himself to putting right and by 1848 not only had repair and restoration work been carried out but a new glass house with a Polmaise Stove House had been erected. In May of that year Fortune received an approach from the East India Company to carry out a project for the improvement and cultivation of tea in India by the importation of new stock and skilled labour from China. Fortune set about collecting seeds and plants including numerous specimens of both green and black teas as well as samples of the poisonous Prussian blue tea used to dye tea for export and organized the transportation of tens of thousands of plants into India. Fortune retired after his visit to Japan and spent the last eighteen years of his life in increasingly poor health at the family home 1 Gilston Road, London SW 10 where he died on 13th. April 1880 aged 68. He is buried at the nearby Brompton cemetery where his memorial has very recently been restored. A truly remarkable man for whose efforts we are indebted for the introduction of many species of plants without which our gardens would be so much less varied and without whose efforts there may not have been an Indian tea industry, certainly not the variety of teas we enjoy today. Three Years' Wandering in the Northern Provinces of China, A Visit to the Tea, Silk, and Cotton Countries, with an account of the Agriculture and Horticulture of the Chinese, New Plants, etc. London, John Murray, 1847 . A Journey to the Tea Countries of China; Sung-lo and the Bohea Hills; with a Short Notice of the East India Company's Tea Plantations in the Himalaya Mountains. London, John Murray, 1852. Two visits to the tea countries of China and the British tea plantations in the Himalayas with a narrative of adventures and a full description of the culture of the tea plant, the agriculture, horticulture and botany of China. London John Murray. 1853, National Library: CAT10983833 LCCN: 04-32957. A Residence Among the Chinese; Inland, On the Coast and at Sea; being a Narrative of Scenes and Adventures During a Third Visit to China from 1853 to 1856, including Notices of Many Natural Productions and Works of Art, the Culture of Silk, &c. London, John Murray, 1857. Yedo and Peking; A Narrative of a Journey to the Capitals of Japan and China, with Notices of the Natural Productions, Agriculture, Horticulture and Trade of those Countries and Other Things Met with By the Way. London, John Murray, 1863.